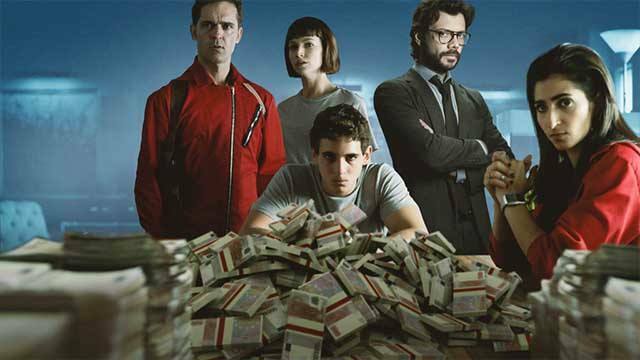 La Casa de Papel, or Money Heist (or literally The Paper House) is one of the most respected and successful Netflix series released in recent years. The first season debuted in 2017, telling us a story of a heist on the state mint in Spain. The idea is so interesting that it could be used by Rockstar as a base for the action in another part of GTA. 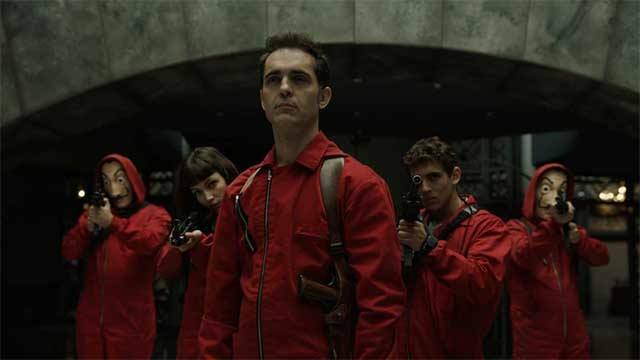 Money Heist tells us a fictional story of a heist that was planned to its smallest details for the state mint in Spain. Netflix series is one of the most popular productions of recent years, with great pace of action and direction. Can it be the inspiration for Rockstar Games in terms of GTA VI? It sure can! Heists are one of the most essential moments in every instalment of the series. La Casa de Papel presents an action from the perspective of the group of criminals, who are riding the state mint. They are no indifferent to each other. They create a harmonious team, what can resemble to some extent the Dutch gang from Red Dead Redemption II. It is possible that in GTA VI we are not going to be a lone “errand boy”, as in most cases, but as it was in RDR II, we will be responsible for the future of the whole crew. Are we going to become the most prominent people in the crew (just like in RDR), or maybe we are going to climb the hierarchy ladder in order to become the leader later on? Both variants have got its positives and downsides. As a leader, we would have much bigger influence on the course of particular actions – the way we plan heist, who will help us and in which way, and of course how we will manage the finances of the gang – just like in RDR II. Besides that, the concept of the gang that lives its own life, and every person is indispensable and specializes with different tasks, occurred to be perfect for western theme. It would also be a great idea if next GTA could use it as well. Taking care of relations among gang members would result in better effectiveness during particular actions, greater accuracy, and also the bigger size of the loot or, for example, the speed of cracking securities. Even the best prepared heist can lead to unforeseen situations. Not once or twice, but many times one can see this in the TV series La Casa de Papel. Getting things done silently or wreak chaos and destruction? Intimidate a witness or kill him? Sure, it is much easier to create linear missions (what is a good thing for story, since the authors have got a full control over what is going on), however many people would finally want bigger impact on the course of quests. We receive a task, but the way we handle it depends all on a player. Reputation we know from RDR II also plays an important role in the TV series La Casa de Papel. Should we care about what other may think while being a criminal? If we are going to travel around in a blood-stained clothes in the city centre, then it may result in the reaction of law enforcement officers. Also, the way we complete missions (mass killing of everyone who stands on our way or avoiding excessive violence) could result in a constantly changing situation in the town. A great approach to this subject was presented in Wildfire Worlds, a production which was a type of riot simulator. Obviously, it is much easier to create such thing in a small indie production, and not in a vast sandbox. 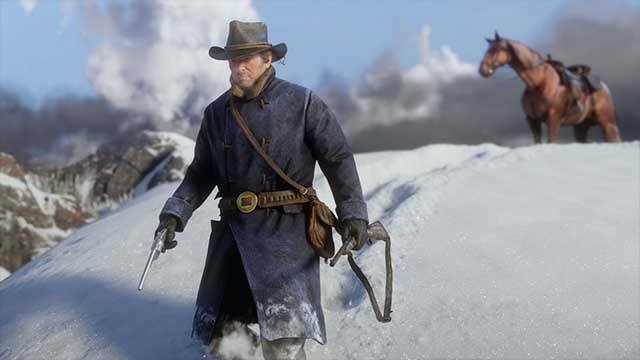 However, Rockstar already showed us in RDR II that they are not going to create secondary games. They are still developing their ideas, introducing new mechanics and the chain of dependencies as well as mutual connections. Up to this day it didn’t matter how much chaos we bring onto the world of GTA or how many people we murder – nothing changed in the game world. Once we respawned, the city looked the same as before. What if the riots we started will change the world, leading to a piece of disintegration? There would be more police patrols on the streets, and some shops would be simply closed. Surely, from that point onward our actions would be prudent and well-thought.